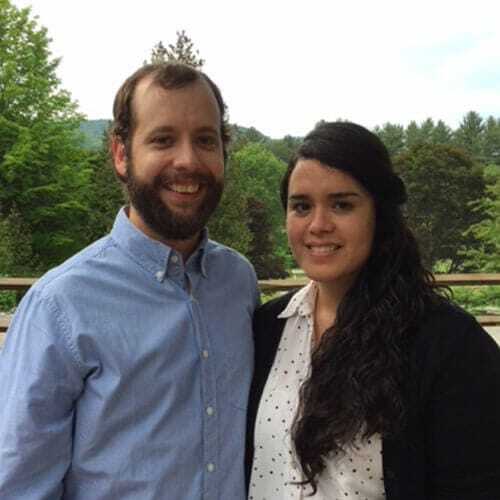 Mike and Carla both received Christ as their personal Saviour at young ages. They met as students at the Word of Life Bible Institute in Argentina, where they completed two years of studies. On February 23, 2013, they were joined together in marriage and felt called to minister in Canada. Once in Canada, they served on the pastoral staff at Boston Baptist Church in Boston, Ontario for 5 years. During this time, Mike also finished his Bachelor’s of Religious Education at Heritage College and Seminary. Mike and Carla strive to be a couple that is motivated to serve God with all of their hearts. They are excited to be a part of the Word of Life Canada team and, by God’s grace, encourage other young people to serve God with all of their hearts. Impacting young people with the truth of the gospel through teaching, evangelism, and making disciples.